One of the side effects — negative or positive, depending on your slant — of Formula One’s continued rise in global popularity has been that the motorsport is used as an avenue for protesters and activist groups looking to raise awareness over political and social issues. Last month a group of Anonymous-branded hackers brought down the official website of the Formula One in protest over the Bahraini government’s violent crackdown of its people. 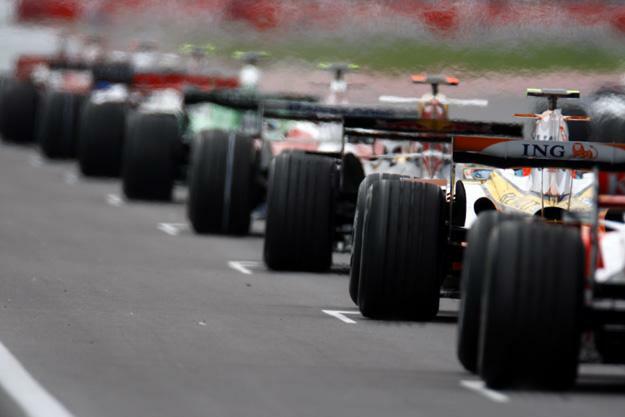 Now it looks like more disruption could be on F1’s horizon as “hacktivist” group Anonymous have threatened yet another attack on Formula One during next week’s Canadian Grand Prix, according to the UK Press Association. Students in Quebec have recently taken to the streets banging pots and pans (literally) in protest over tuition hikes for universities, and even going so far as to clash with police in their collective refusal to end the demonstrations, reports the Montreal Gazette. The protest over increased tuition has caused a rift between students and the provincial government, while the ongoing demonstrations have added ballooning unrest in the city center. So far, the protests have lasted over 100 days, with more than 2,500 arrests made during that time. While local businesses have already been forced to endure the ongoing unrest, a real concern has risen over activists’ calls to disrupt the Grand Prix proceedings next week. And with new threats from Anonymous added to the fray, Quebec’s Premier Jean Charest will without a doubt have more than enough to be concerned over, knowing that any unrest, either from students or Anonymous, could prove costly to the city. Not only is the Canadian Grand Prix one of the most popular events on the F1 calendar, it also brings in a wealth of tourists to the French-speaking province. Those tourist equate to dollars, something Anonymous is more than keen to disrupt. In total, the race weekend draws in over 300,000 tourists to Montreal, with over $100 million generated in revenue. id and Bethesda announce Doom 3: BFG but where is Doom 4?